“She Didn’t Do It!” Prayers Save Baby From Abortion at the Last Minute “I will set him in the safety for which he longs”. The verse from Psalm 12:5 floated through my mind as hot tears rushed down my cheeks. “Set him in the safety?” I assumed it was God telling me the baby my friends and I we’re earnestly praying for was aborted and now safe in heaven. I had every reason to believe that must be the case. Self Defense, Wrong; Killing Babies, Ok? By Dr. Bobby Eberle: It appears that this country is clearly going downhill fast. More and more people want the government to take care of them while they sit around and do nothing. More and more people won't take the time to see the media's negative influence in matters of race (such as the Zimmerman trial). And more and more people are becoming numb to the liberal agenda that human life, if in the form of an infant or unborn child, is not precious at all. There has been much debate over the abortion issue over the years. Every time I write about it or my web site posts a column about it, we get tons of response. Some will write in saying the abortion issue is a "loser" for Republicans. They write that we should all just stay out of the lives of women. This type of comment continues to amaze me, because these people act as if there is only one person involved: the woman. What about the unborn child? To be clear, a sperm cell is alive. An egg is alive. When they come together, the human being is alive. Those are simply the facts, and no one can argue otherwise. So, the abortion debate really becomes this: At what point in the development of a human being is it still ok to kill the child and not feel that it is morally wrong? Apparently, to some on the left, there is NO point at which it is morally wrong. As pointed out in an article last year in the Journal of Medical Ethics, the authors argue that it should be legal to murder the child AFTER birth, because the child does not "possess a moral right to life." The authors claim the newborn child is not actually a "person" yet. Tags: self defense, wrong, killing babies, okay, abortion, Bobby Eberle To share or post to your site, click on "Post Link". Please mention / link to the Greater Fitchburg For Life. Thanks! By Lauren Mach, Celebrate Life: It’s the “largest and longest annual gathering in the history of the United States,” according to Conservapedia (an online encyclopedia). Each year, after a noon rally on Washington, DC’s National Mall, hundreds of thousands of people—most in their teens and twenties—march from the mall up Constitution Avenue and then to the Supreme Court building on Capitol Hill. Major downtown streets are closed from 9:30 a.m. to 6 p.m.—almost five hours after the event is scheduled to start. And the city’s population swells considerably for a few days. On January 25, 2013, a record half million marchers gathered for the 40th consecutive March for Life, which marked the 40th anniversary of the Supreme Court’s rulings of January 22, 1973, on Roe v. Wade and its companion case, Doe v. Bolton. These decisions decriminalized abortion on demand throughout pregnancy for any reason. Tags: Youth, March for Life, march participants, from schools, churches, communities nationwide To share or post to your site, click on "Post Link". Please mention / link to the Greater Fitchburg For Life. Thanks! Marjorie Dannenfelser, President, Susan B. Anthony List: Planned Parenthood has been leading the public relations effort to dismiss Kermit Gosnell’s “house of horrors” as an outlier. … But you and I know that’s a lie! The SBA List has already documented copious instances of abortion industry brutality and negligence across 15 states – and tomorrow, at a State Senate hearing in Delaware, even more will be exposed. Three former abortion clinic employees are coming forward to recount the brutal practices and negligence which led them to quit their jobs. They are former employees of Planned Parenthood. America’s Abortion Giant – the standard-bearer – cannot claim that Kermit Gosnell, Douglas Karpen, and a host of other abortion clinic horrors nationwide are isolated incidents while their own employees expose them for complete disregard for the health and well being of women. We MUST expose this abuse. That’s why members of the SBA List team will be at the hearing tomorrow, standing shoulder to shoulder with our Delaware allies. We’ll be there to live tweet the hearing, take pictures, share the evidence, and talk with the media. Share our multistate FACT SHEET on abortion industry brutality happening nationwide. Share one of our Planned Parenthood infographics on your facebook and twitter pages – These bright images pack a punch of information. , former Planned Parenthood manager who explained that her superiors actually told her to increase the number of abortions performed at the clinic. Don’t forget to follow @SBAList on twitter and on facebook in order to check out our coverage of tomorrow’s hearing. We will keep you posted as this situation develops. Tags: Susan B. Anthony List, Planned Parenthood To share or post to your site, click on "Post Link". Please mention / link to the Greater Fitchburg For Life. Thanks! American Life League: Catholic Social Justice programs are playing a dangerous game of compromise. American Life League explains how the leadership of programs like the Catholic Campaign for Human Development and Catholic Charities USA are opening the gates of the Catholic Church to the enemies of Christ. Promoting moral compromise and progressive agenda. 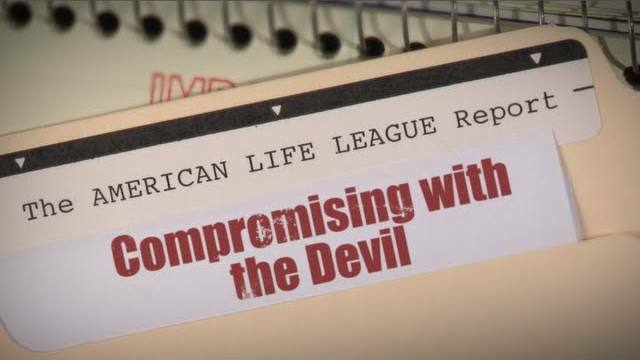 Tags: Catholic Social Justice, compromising, with the devil, report, American Life League To share or post to your site, click on "Post Link". Please mention / link to the Greater Fitchburg For Life. Thanks! 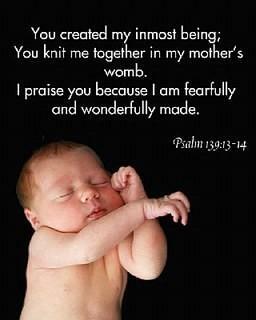 Abolish Human Abortion "Little children, let us not love with word or with tongue, but in deed and truth." 1 John 3:18. Tags: abortion, murder, murder of the innocence, The Church, church, Christians, roll, actions, response, Abolish Human Abortion To share or post to your site, click on "Post Link". Please mention / link to the Greater Fitchburg For Life. Thanks! Washington Post-ABC poll: By 56 percent to 27 percent, more Americans would prefer to impose limits on abortions after the first 20 weeks of pregnancy rather than the 24-week mark established by the Supreme Court, according to a new Washington Post-ABC News poll. An additional 10 percent of those surveyed volunteered that they would prefer to outlaw abortion in the United States altogether or limit it sooner than 20 weeks after fertilization. . . .
A dozen states have adopted laws banning abortion 20 weeks after fertilization or earlier, according to the institute. Three of those laws have been struck down, and two, in North Dakota and Texas, take effect in the coming weeks. Seven are now in effect, in Alabama, Arkansas, Indiana, Kansas, Louisiana, Nebraska and Oklahoma. . . . This month, Texas Gov. Rick Perry (R) signed into law legislation that bans abortions after 20 weeks, requires doctors who perform abortions to have admitting privileges at a nearby hospital, limits medication abortions and requires all abortions take place in fully equipped surgical centers. . . . Tags: poll, ABC, The Washington Post, abortions, restricted after 20 weeks To share or post to your site, click on "Post Link". Please mention / link to the Greater Fitchburg For Life. Thanks! by Cortland Bobczynski , CitizenLink: A Department of Justice (DOJ) group called DOJ Pride recently sent out a directive requiring employees to vocally affirm homosexuality: "DON'T judge or remain silent," it says. "Silence will be interpreted as disapproval." A DOJ employee contacted Liberty Counsel to protect her First Amendment Rights, after receiving an email entitled "LGBT Inclusion at Work: The 7 Habits of Highly Effective Managers." Mat Staver, founder and chairman of Liberty Counsel, took some time to discuss this issue and how situations like this can affect religious freedom in the workplace. CitizenLink: Does the DOJ Pride have an official stamp of approval from the Department of Justice? Mat Staver: Yes, the DOJ Pride has significant power; it is operating with the authority of other various agencies. DOJ Pride has the power to complain. It is composed of individual employees within the DOJ, however the directive has come all the way from the Obama administration to make sure these policies are implemented. The people within the highest level of these agencies are operating under the directive of the administration to comply and implement these policies. In 2009, the government elected an individual whose sole task was to push the LGBT agenda in all of the federal agencies, so the FBI and the CIA, among other agencies, have created Pride groups. DOJ Pride is a product of this. The administration is trying to push Pride in all of the federal agencies. 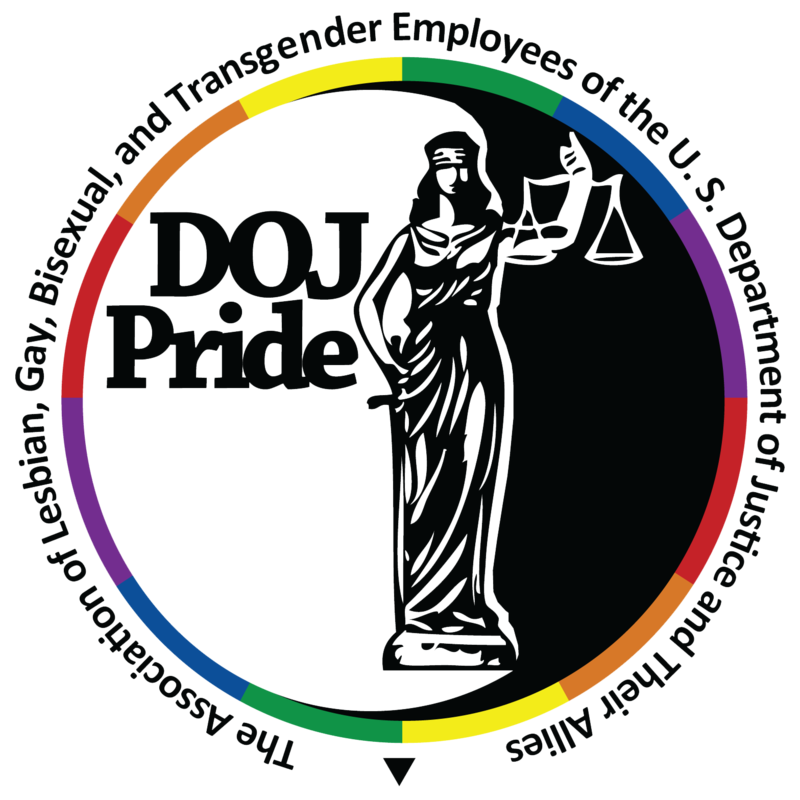 The DOJ has implemented a very strong emphasis for the LGBT agenda and they have called it the DOJ Pride. Employees on the inside are working with homosexual and LGBT organizations from the outside. CL: Is this only the beginning of federal departments forcing employees to comply? Mat Staver: It is only the beginning under this administration. This administration has used the federal agencies including the U.S. Military to push the LGBT agenda. It is implementing the LGBT agenda in an unprecedented way, not just in the Department of Justice, but in the USDA, FBI, CIA, and in every agency that exists under the federal jurisdiction of the executive branch. CL: Would a private corporation be able to send out this email to its employees? Mat Staver: If a private corporation sent out this email to its employees, it is likely that the employee would have a cause-of-action against the employer for forcing him or her to engage in these kinds of activities. CL: Does an email like this create tension between employees? Mat Staver: Absolutely, there is no question that it creates more tension. This takes the advancement of the LGBT agenda to a new level. Not just is it telling its employees to remain quiet in regards to their opposition to homosexuality or any other sexual practices, but it is also telling them that they have to speak in affirmation of such practices and behavior. And if they don’t, it will be considered opposition. This is a direct assault on the conscience and this administration is taking it to the extreme. The Obama administration has appointed Chai Feldblum to head the Equal Opportunity Employment commission that considers employment discrimination claims. Chai Feldblum has been a radical outspoken activist of the LGBT agenda before she was appointed by the government. She has been quoted saying the LGBT movement is a zero-sum game when it comes to religious freedom. This means there will be a winner and there will be a loser and in her view, religious freedom loses and LGBT rights win. CL: Can you explain the difference between non-discrimination in the workplace and tolerance of religious beliefs? Mat Staver: Non-discrimination is different than tolerance of religious beliefs. Non-discrimination means that one does not discriminate on the basis of hiring, promoting, or granting benefits because of a protected category. Understand that there is no protected category for sexual orientation under federal law. There is a protected category under federal law for race and religion; however, there is no category for sexual orientation. Even if it was a protected category under federal law it would mean that you could not discriminate on the basis of hiring, terminating, promoting, or granting benefits. It does not mean, however, that you have to agree with or that you have to affirmatively speak in favor of the protected class. Tags: CitizenLink, DOJ, LGBT agenda To share or post to your site, click on "Post Link". Please mention / link to the Greater Fitchburg For Life. Thanks! by Bethany Monk, CitizenLink: The Texas Attorney General's office announced Wednesday that the nation's largest abortion seller must pay $1.4 million for overbilling the state's Medicaid program. Planned Parenthood Gulf Coast submitted "repeated false, fraudulent, and ineligible claims for Medicaid reimbursements" through the Texas Women's Health Program, according to a federal lawsuit made public last week. Tags: Planned Parenthood, fraud, false claims, medicare fraud, Texas To share or post to your site, click on "Post Link". Please mention / link to the Greater Fitchburg For Life. Thanks! 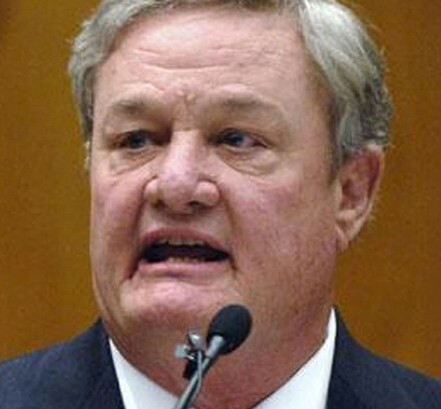 Judge Daniel Hovland sides with death! Penny Nance, President, Concerned Women for America Legislative Action Committee: An activist judge in North Dakota has taken the law into his own hands -- standing squarely against the will of the people on the issue of life. The people want women and the unborn protected from the predatory practices of abortion, and their legislators passed an outstanding, commonsense, pro-life bill banning abortion after viability (the moment the fetal heartbeat is first detected). But U.S. District Judge Daniel Hovland is letting his bias show ... calling the new law "unconstitutional" and issuing a temporary injunction to block it. Once again, we are facing a judiciary that is out of control. We won't back down -- and we won't back down from defunding Planned Parenthood! Here is what you need to know: Several states have pending legislation which would restrict abortion in their state. These pro-life bills reflect the sentiments of most Americans -- according to a June National Journal poll, 50% of women support a ban on abortion after 20 weeks' gestation. However, this positive trend is not without opposition. Despite outstanding advances for life being made at the state and federal levels, Planned Parenthood, our President, and liberal lawmakers and judges are trying their hardest to oppose and prevent restrictions on abortion. Tags: North Dakota, federal judge, blocks, pro-life bill, fetal heartbeat, viability, To share or post to your site, click on "Post Link". Please mention / link to the Greater Fitchburg For Life. Thanks! 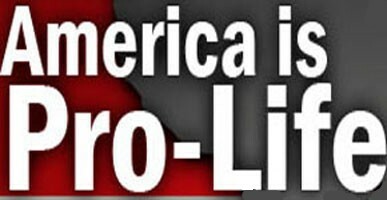 Enough is Enough: Pro-Life Group Starts March on the Media Over Abortion Bias Lila Rose of Live Action has had enough and her pro-life group has started a new campaign, March on the Media, to combat the epidemic of pro-abortion bias when it comes to reporting on abortion issues. 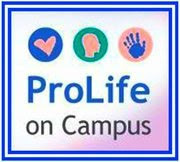 Tags: Pro-Life News To share or post to your site, click on "Post Link". Please mention / link to the Greater Fitchburg For Life. Thanks!